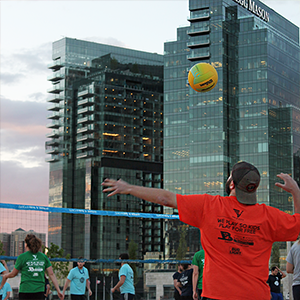 Ready, SET, SPIKE! 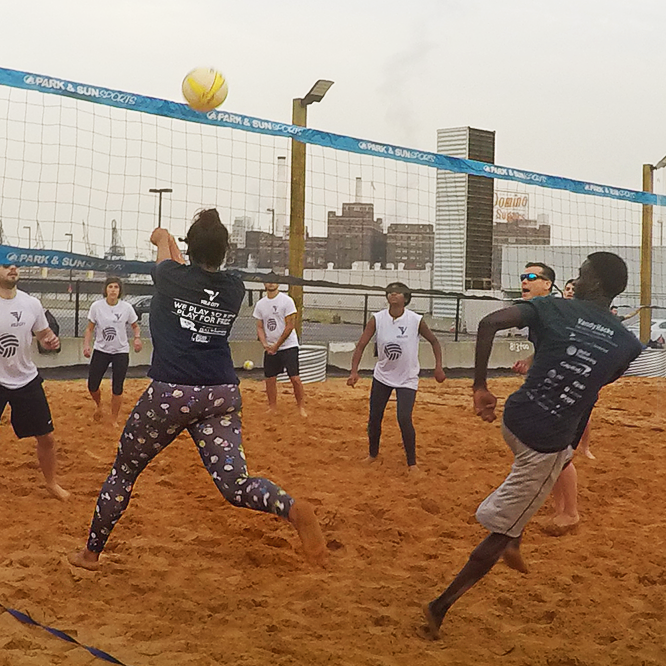 Get your game on and join Volo City for indoor, beach or grass Baltimore volleyball leagues. 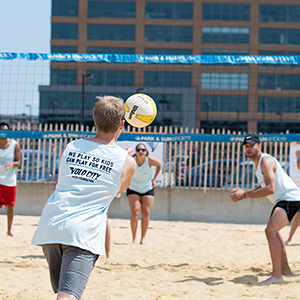 Join one of our Baltimore volleyball leagues for a fun and social time on the court in Federal Hill, Canton or various other locations throughout the city. 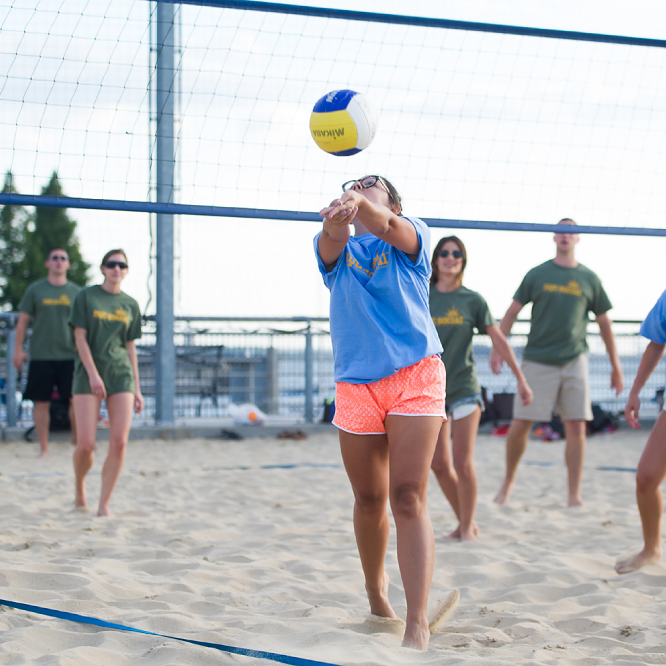 After your game, celebrate with your teammates with a few drinks at one of our sponsor bars! 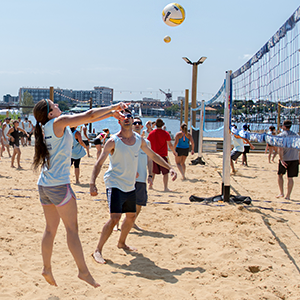 Baltimore volleyball leagues include 6v6 (coed indoor, grass, and beach), 4v4 and 2v2 (men’s, women’s and coed beach). Please make sure your captain selects the skill level at which your team would like to play. 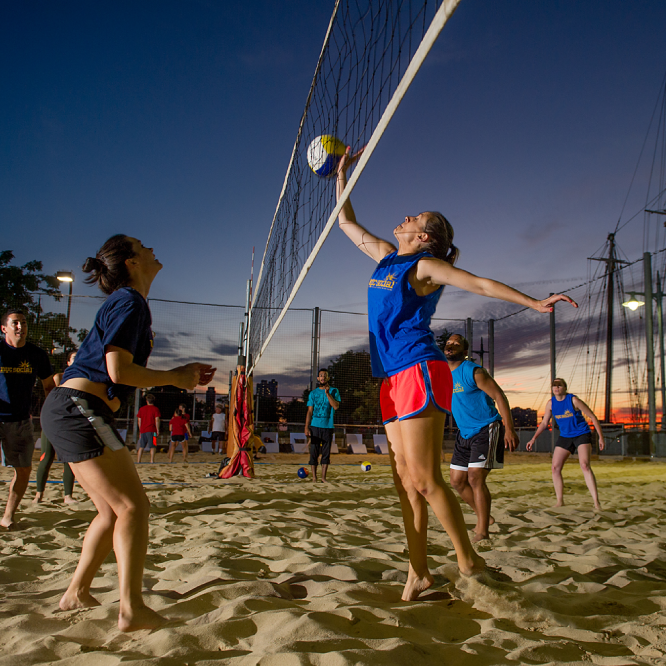 We pride ourselves in making sure that we provide everything you need to relax and have a blast. 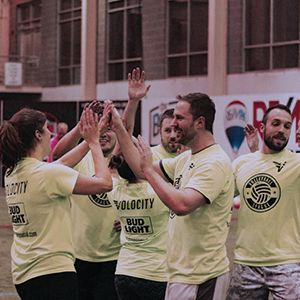 All you need to do is show up and find your team – we’ve got everything else covered! 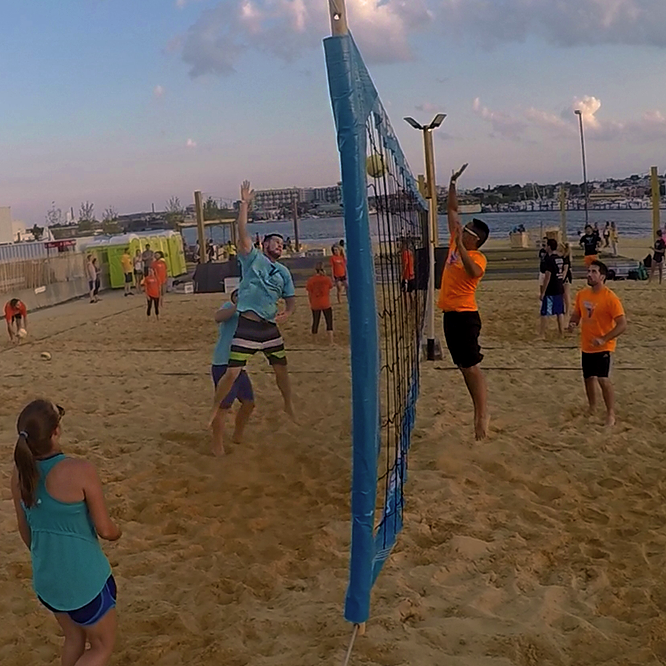 Wednesday - Coed 6v6 Beach - Federal Hill - South Point w/DJ! 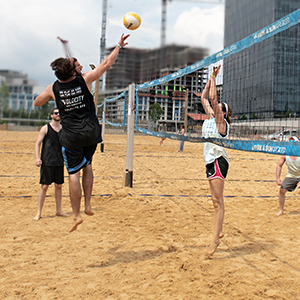 Wednesday - Coed 4v4 Beach - Federal Hill - South Point w/DJ! 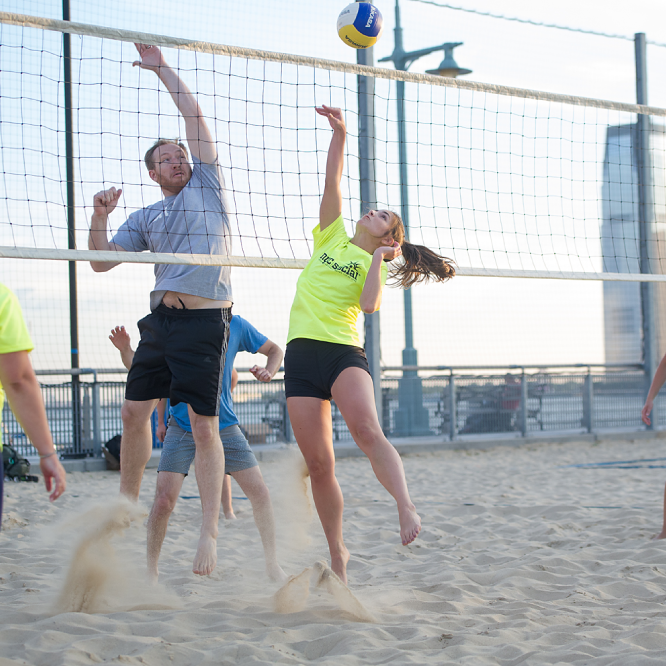 Thursday - Coed 6v6 Beach - Harbor Point Sandlot w/ DJ! 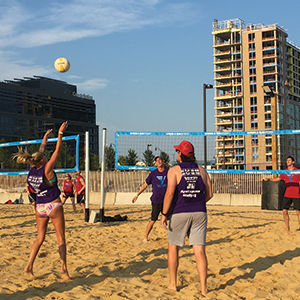 Thursday - Coed 6v6 Beach - Federal Hill - South Point w/ DJ! 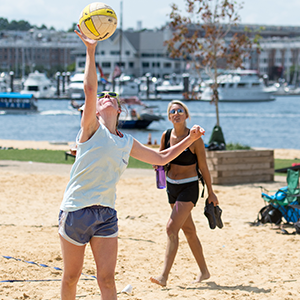 Friday - Coed 6v6 Beach - Federal Hill - South Point w/ DJ! 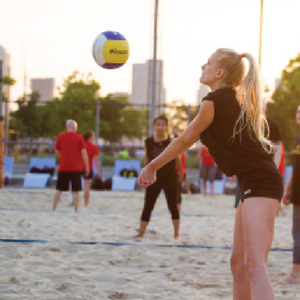 Minimum players for a full 6’s volleyball team is 9 . If you do not meet this minimum your team will be merged with free agents. 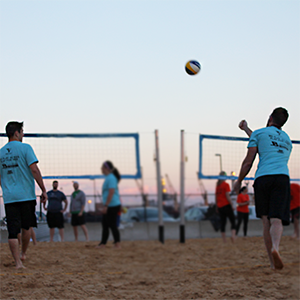 Minimum players for a full 4’s volleyball team is 6. If you do not meet this minimum your team will be merged with free agents.